We want to be at the heart of the community we serve, empowering families and individuals to flourish. Our school sits at the heart of the new community of Houlton and will be a key facility for the families moving to the site. Houlton, as a new community area, has been designed with many green wildlife corridors connecting areas of the site, facilitating easy and safe movement for both parents and children, enabling them to explore and enjoy the walk to school. The building holds ‘open arms’ to the community with the footprint of our two halls creating designated space for parents to meet and build relationships outside the main entrance in ‘Dollman square’. The school sits within a large, landscaped area providing a great sense of space and greenery for our pupils. 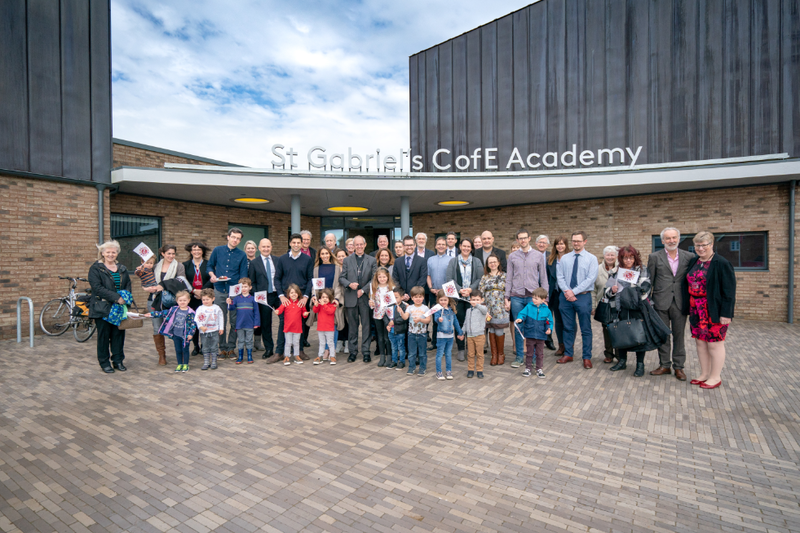 It will open initially as a one form entry school and will naturally expand to a two-form and three-form entry school over the coming years as the community grows. Our building will be used to enhance the educational experience on offer and will also be available as a high-quality community facility for out-of-hours parental and community use. We will be keen to develop strong links with the community from the outset, welcoming the community to get involved with the life of our school and our events. With great transport links on our doorstep, we aim to provide fantastic before and after school care for families travelling to and from work. Subscribe to our email newsletter to hear about all the latest developments.